What shoes do you bring for a vacation in the Outback? Keens of course. 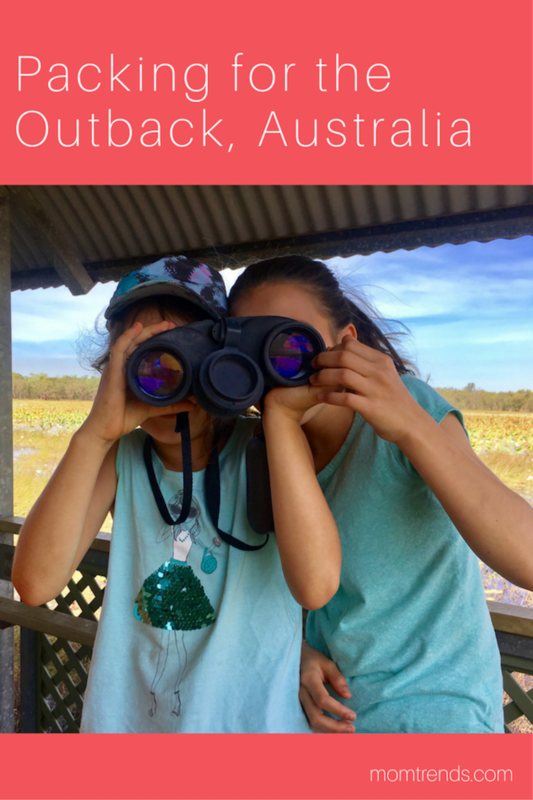 This summer we took the kids on an adventure to Australia. We planned a bit of city time and lots of time out in nature. 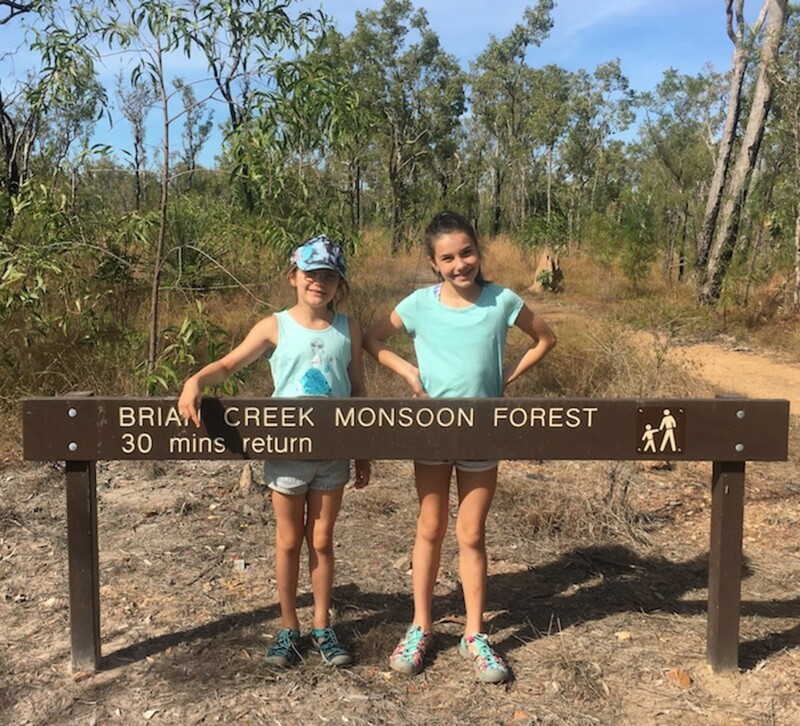 When packing for the Outback in Australia, we made sure the kiddos were outfitted with Keen. When we were deep into vacation planning for this summer, we mapped out a bit of Glamping at the Wildman Wilderness Lodge. Located in the “Top End” of Australia, this is remote territory. Before we set off, I ordered the girls each a new set of Keens. In our family, they are the official footwear of summer adventure. Mr. Momtrends and I wanted a holiday that was packed with adventure, animals and outdoor time. 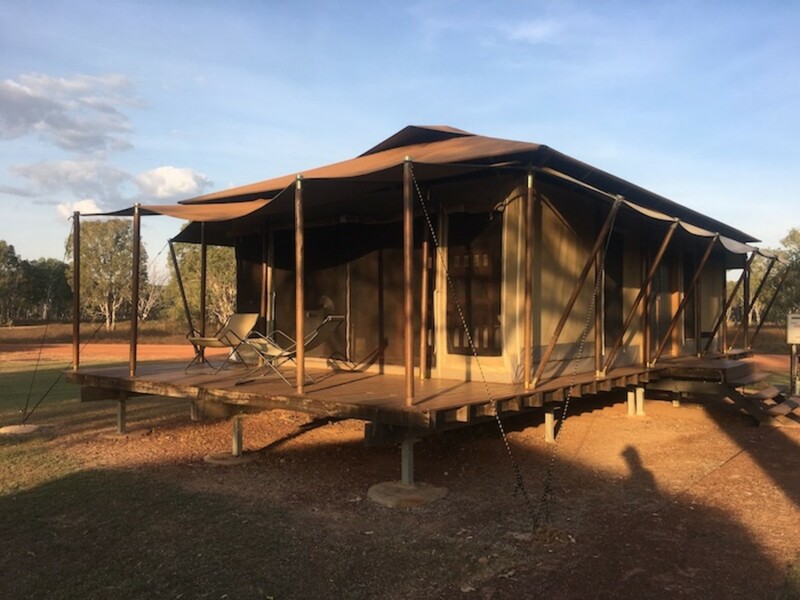 After a few city days in Sydney, we headed to Darwin and then drove to Wildman Lodge. Wildman Wilderness Lodge opened in 2011--right at the height of the glamping trend. They put luxe tents and full-outfitted cabins on a choice piece of land near on the Mary River Wetlands. We gave the girls a choice of the stylish eco lodge (with A/C) and the safari tent option...wouldn&apos;t you know they picked the tent! Our lodge was perfect. When we arrived, we saw wallabies hopping happily around the property and a bunch of kids in the pool. Our tent was properly “glamped” out - there was a hot shower and fans. Left to my own devices, I would opt for more luxe than camping (you know with fancy things like a gym, wifi and a/c) but the kiddos ruled on this one. 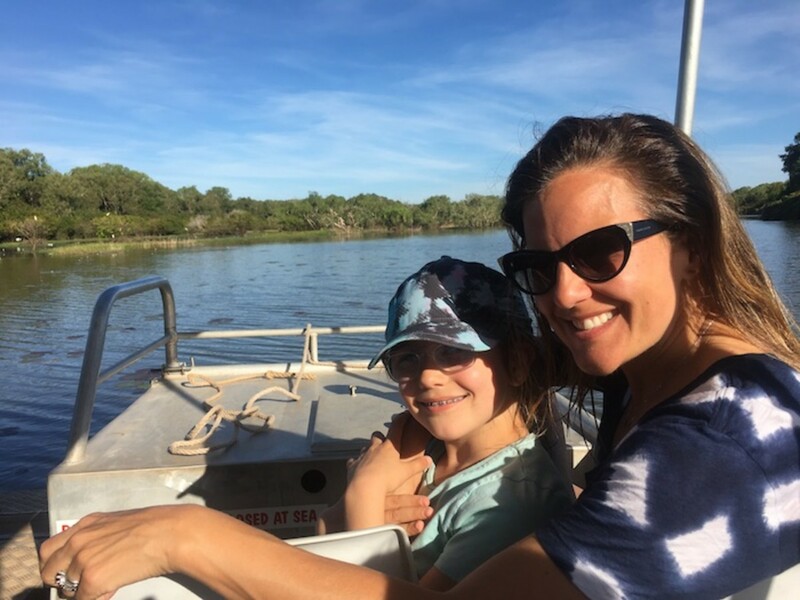 Our days were spent on hikes, in boats and exploring the lodge&apos;s land. 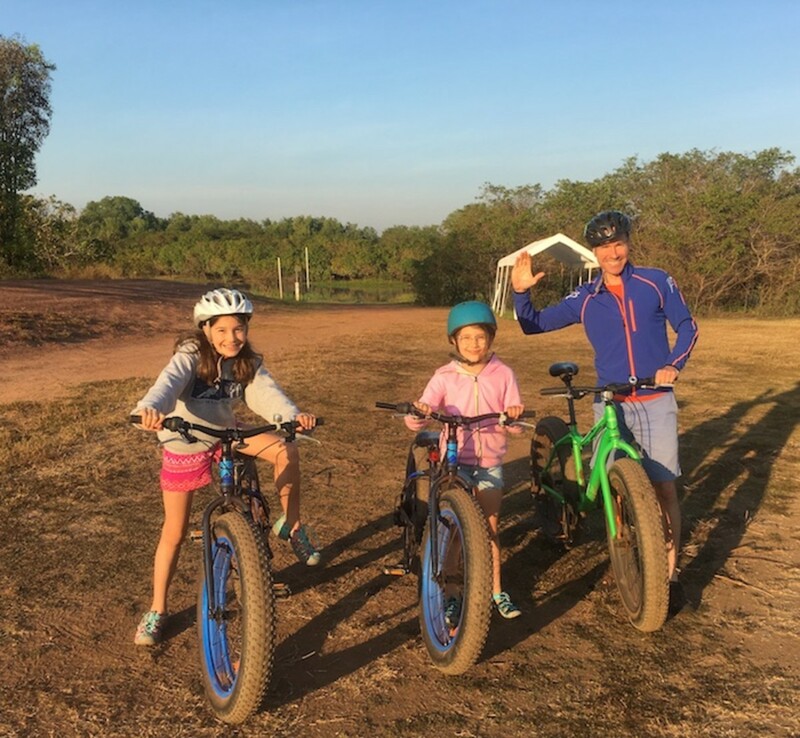 At base camp, we took bikes to the billabong – a little watering hole. From a safe distance from the banks (again with the crocodiles) we watched for native birds and even spotted a few water buffalo. Croc hunting turned out out to be the biggest hit. No guns or knives were involved, this was a photo safari. As we boated around we spotted dozens and dozens of these prehistoric creatures. Our guides regaled us of their knowledge about this enormous beasts. Did you know that they only need to eat 1-2 times a year? Our big outing was to a national park. 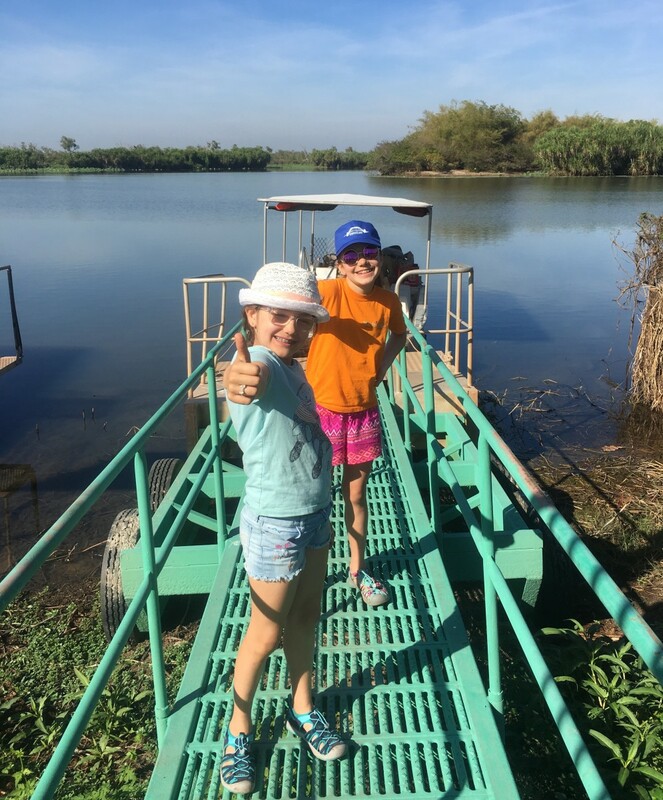 Our guide drove us a few hours deeper into the Outback to explore the Kakadu National Park. Our kids don&apos;t usually pick the cultural itinerary. Fortunately, they were drawn into the Kakadu&apos;s rock art. The art has gained World Heritage status because they share a glimpse at Aboriginal life thousands of years ago. Some paintings have been dated as up to 20,000 years old (according to the park website, this is one of the longest historical records of any group of people in the world). In addition to the rock art, there&apos;s also the overlook on the Ubirr walk. The view from the lookout over the Nadab floodplain will take your breath away. Picking the right footwear to match the holiday was easy. To cut down on luggage fees (and our struggles with carrying heavy bags), we limited our packing to a roller bag apiece. This means we needed footwear that did double duty. Keen fit the bill perfectly. My older daughter had on the SeaCamp II. They are good on land or water--perfect for this girl who has trouble staying dry! They are also flexible and light--so she won&apos;t complain and reach for her flip flops. As for the packing list at Wildman, you don’t need much more than a sun hat, shorts, sturdy sandals (like Keen) and t-shirts. Even the dinner service is on the casual side, but you can wear a sundress if you like. P.S. don’t forget the sunscreen and bug spray - we used copious amounts of both on this trip. The Keen shoes we picked were great for hiking and long nature walks. They were also great for the boat excursions. The days got hot, no one wanted to be in hiking boots, but I wanted toes covered and stability (you never know when you’ll have to outrun a crocodile!). 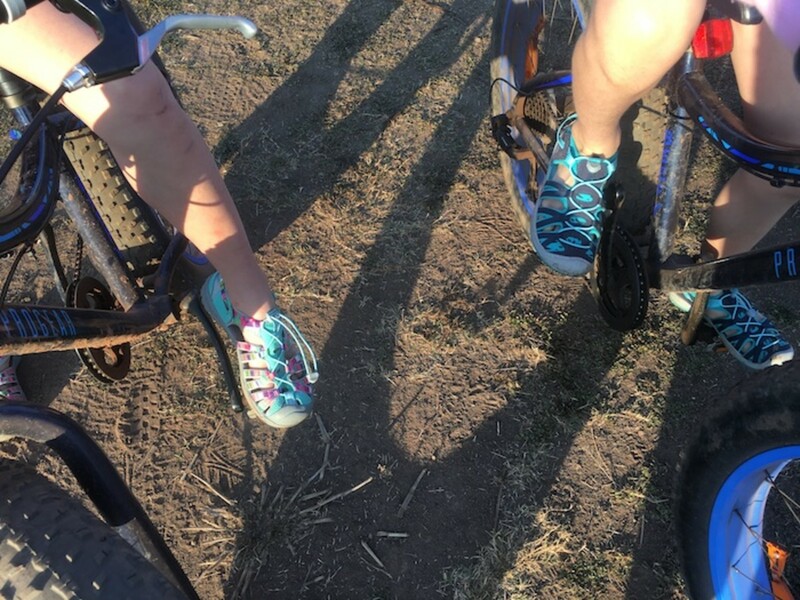 I don&apos;t let the kids bike in flip flops, Keen shoes are much more stable and safe for cycling. My younger daughter is wearing the Moxie Sandal in blue. it&apos;s got "Cleansport NXT™" for natural odor control and is easy to slip on quickly. In addition to NOT stinking, it&apos;s also very quick to dry out. In addition to being sturdy and breathable, they dry fast too. There were trips to wave pools in Darwin (no crocs or sharks there) where we wanted pool-friendly footwear, Keen fit the bill. We’d set the shoes on our deck at night to dry them out – worked like a charm. Next up for these shoes? Sleepaway camp. The camps all require closed-toe shoes. I know my kids are going to be at the lake and wet 90% of the time at camp. Keen footwear is easy to slip on and off and better for running around than flip-flops. Whatever your adventure this summer, order up the kiddos some Keens and you’ll be sure to have happy little feet.